New 'DREDD' Image Showcases Lena Headey as Madeline "Ma-Ma" Madrigal! A new photo of Lena Headey as Madeline "Ma-Ma" Madrigal has been released online from Pete Travis' adaption of Dredd. The movie takes place in the wild streets of Mega City One, the lone oasis of quasi-civilization on Cursed Earth. Judge Dredd [Karl Urban] is the most feared of elite Street Judges, with the power to enforce the law, sentence offenders and execute them on the spot - if necessary. Dredd will be released in 2D & 3D on September 21st. Hit the jump for the details. Dredd will be released in 2D & 3D on September 21st. 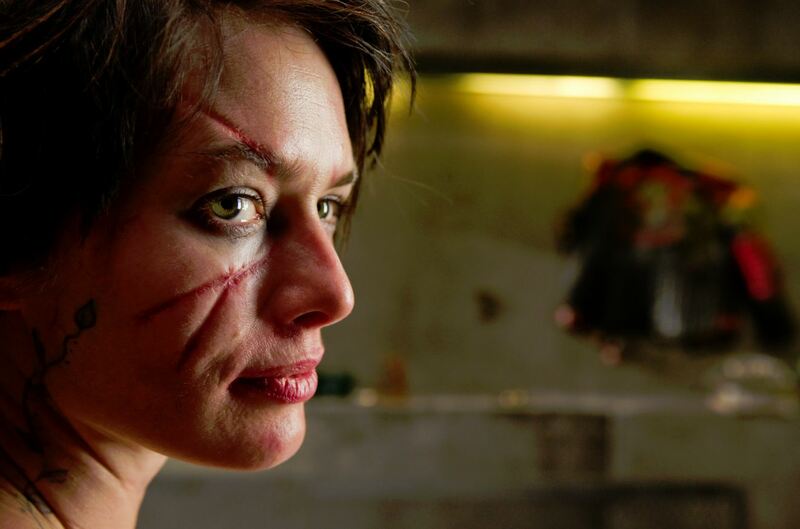 I'm reading: New 'DREDD' Image Showcases Lena Headey as Madeline "Ma-Ma" Madrigal!Tweet this!